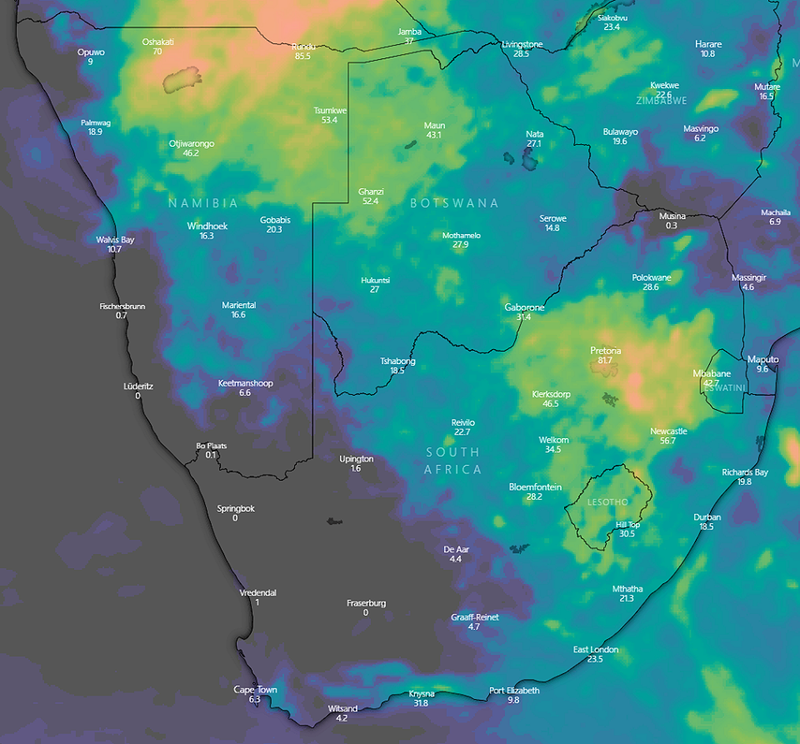 The confidence that rain might occur over large parts of Namibia over the next ten days are on the increase. According to various international weather websites and models the likelihood of rain is very good. 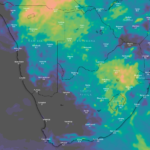 Positive moves are happening in the atmosphere which may impact at least a reasonable part of South Africa and Namibia’s summer rainfall area. Most of the rain will fall in the second half of the ten day forecast. The different models are aligning to a reasonable degree which is the cause for the positive outlook. The first model is the blue weather map from ECMWF (European Center for Medium-Range Weather Forecasts) and is widely regarded as the Rolls-Royce of weather models. The ten day Rain Outlook predicts up to 150 millimetres of rain over certain areas. The first red map, the GEM (Global Environmental Multiscale Model) developed by the Canadian Weather Service predicts up to 126 millimetre of rain over the northern and central parts of Namibia while the second red map by GFS (Global Forecast System) from America’s world model predicts up to 177 millimetres for the country over the next ten days. For Christmas Day the Namibia Meteorological Service predicts fine and hot to very hot conditions in the south and partly cloudy and hot to very hot with isolated to scattered thundershowers over the northern, central and eastern parts of the country. Partly cloudy and cool to warm with fog patches at first is predicted for the coast. Readers of Informanté’s Facebook page are invited to post pictures and measurements of rain in their area in the comments below.